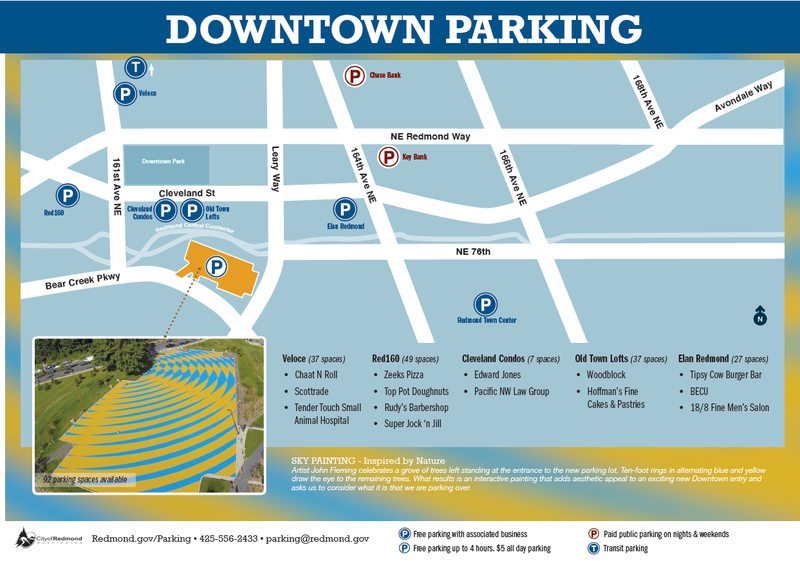 When you need to drive to downtown Redmond, you have a number of parking options with the local businesses. Our growing downtown has a great mix of retail and living spaces. It might not be immediately obvious as you drive by, but these new mixed use buildings have public parking available in their garage to people who are visiting the shops in the building. In addition to these spaces in the parking garages, there are 650 on-street spots available downtown.